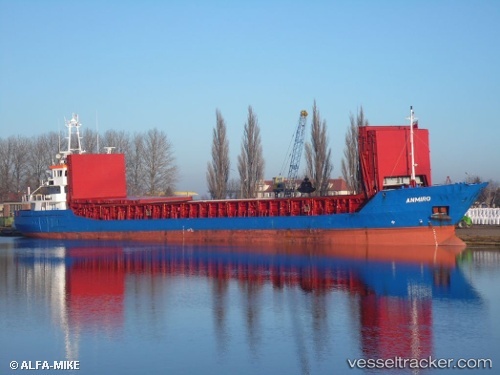 The "Anmiro" on Apr 17, 2012, sailed from Hamburg after completition of repairs to the damage suffered by fire in port on Apr 2 and had Gunness as its first port of call after returning to service on Apr 20, before sailing back to Hamburg, ETA Apr 29. The fire in the cargo hold of the "Anmiro" was caused by welding work according to investigations. The damage was assessed to be around one million Euro. On Apr 4 at 6 a.m. the ship shifted to the O'swald-Quay in the Hansa Port of Hamburg.